1937 - Mark Arthur May and Leonard William Doob collected all the principles behind the Cooperative and Collaborative Learning Theory. Check the Instructional Design Models and Theories: Cooperative and Collaborative Learning Theory article and presentation to find more. Allport, Watson, Shaw, and Mead were the social theorists that established cooperative learning prior to WWII, suggesting that group work is more effective and efficient, than working alone. 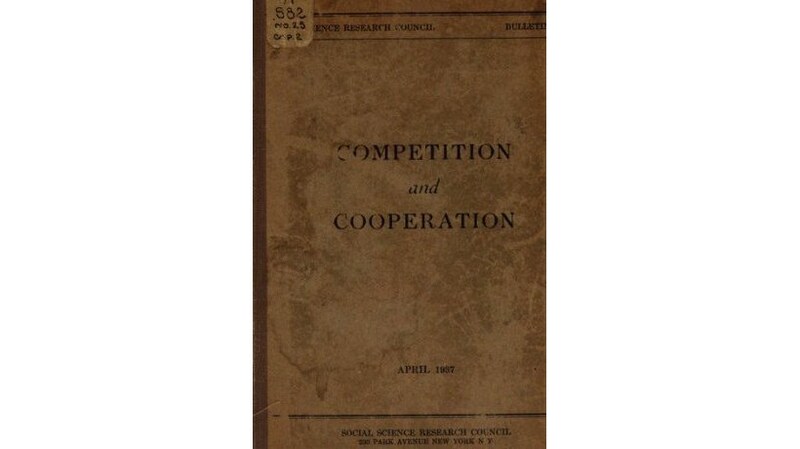 However, it was 1937 when researchers Mark Arthur May and Leonard William Doob collected all the principles behind the Cooperative and Collaborative Learning Theory. Cooperative and Collaborative Learning is a learning situation that involves two or more individuals who are attempting to have a shared educational experience. In these environments, students are able to learn from each other, utilize each other's skill sets and resources, and share experiences that may benefit the entire group. As a theory, it suggests that learners who are educated in a group setting and cooperate in order to achieve a set of common goals are more likely to be successful in doing so, while those who work autonomously are more likely to exhibit competitive behaviors. Cooperative and Collaborative Learning benefits not only the academic, but also the learner’s social persona, since it emphasizes on teamwork and team spirit. In a classroom this means higher levels of achievement, potential cross-ethnic friendships, life-long interaction, enhanced communication and cognitive skills, and critical thinking. Students learn how to work together and support each other. Instructors should encourage brainstorming, reflection, and participation. With face-to-face interaction learning becomes dynamic. Students discuss their ideas and make oral summarizations, while comprehending the value of individual differences and critical thinking. Students learn the value of collaboration for the successful completion of a task, and the usefulness of team roles, and effective representation. Collaboration aside, students should sense their responsibility towards the group and comprehend the value of their contribution for the successful completion of a task. Slacking, hiding behind someone else’ work and simply following instructions won’t work. Groups should learn how to interact and then evaluate their effectiveness and skills. Instructors should give students the time to reflect on the group’s collaboration level, i.e. if everyone participated, if they supported and listened to each other, if everything went smoothly, etc. A New Instructional Design Model Will Be Added Every Week! You are more than welcome to let us know if you would like us to cover an instructional design model and theory that is not included at Instructional Design Models and Theories. Simply leave a comment at Instructional Design Models and Theories.Last but not least, you are more than welcome to embed the Cooperative and Collaborative Learning Theory presentation at your site of blog. If you have a question that needs an answer concerning the Schema Theory do not hesitate to leave a comment and I will reply you as soon as possible.